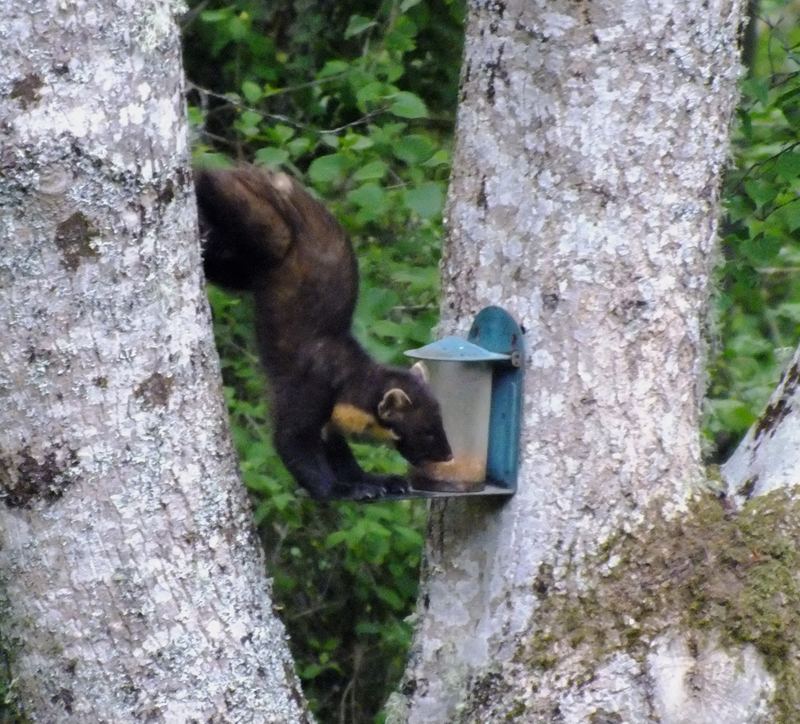 We often see Pine Martens in the garden but the other evening one had discovered the peanut feeder on the tree next to the drive intended for the red squirrels. 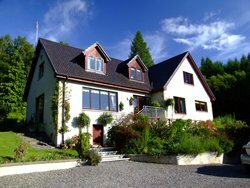 There was a crow making quite a comotion, probably has a nest in the area, so was very unhappy about the pin marten being there. 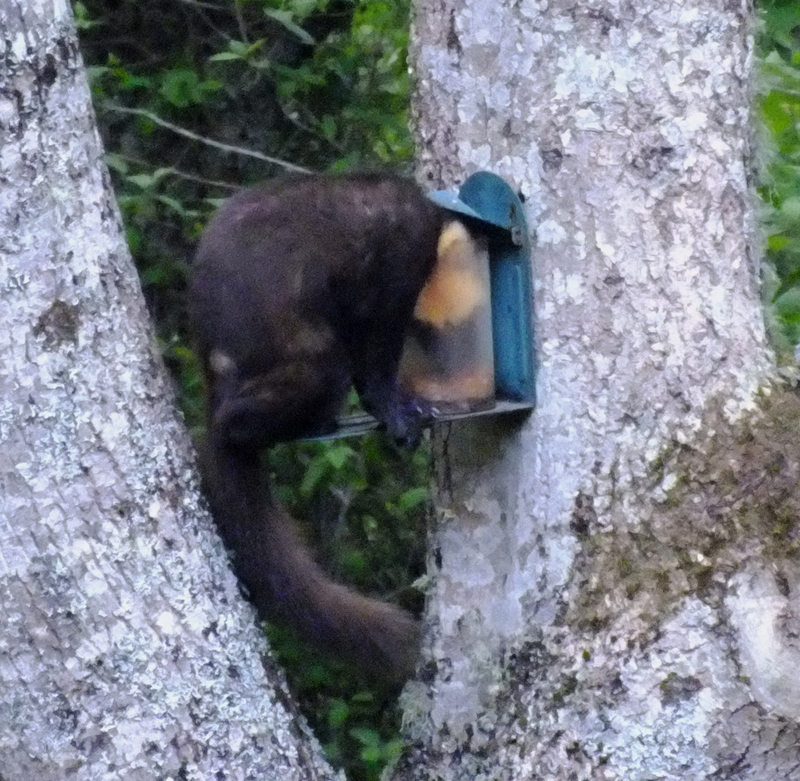 We even saw the crow dive-bombing the marten, never seen that before. 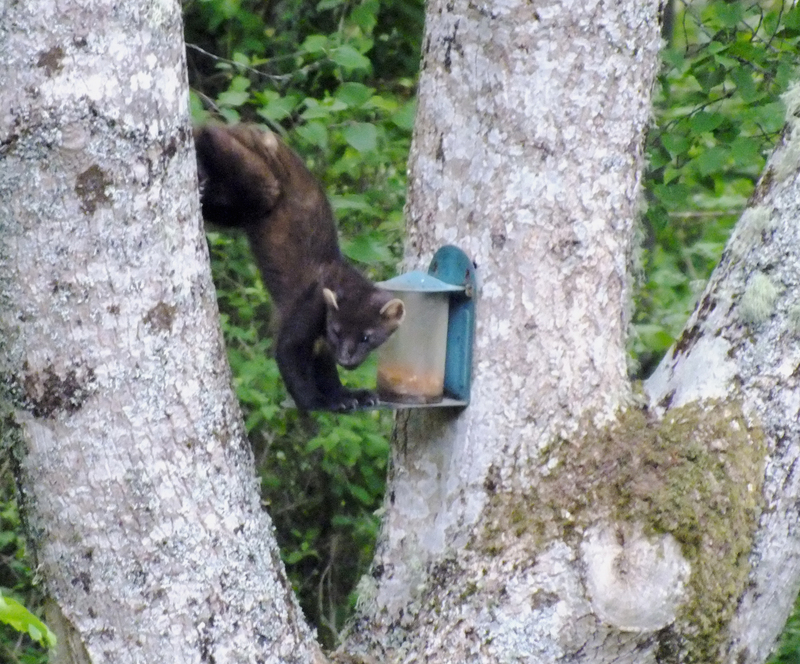 The Pine Marten was completly uninterested in the crow though and was thoroughly enjoying the nuts, in fact he had his head stuck right into the feeder so he could reach the very last few nuts at the bottom.